Everyone’s hair is different – like your fingerprints! You could have oily hair that never seems to stay clean (read our 3 fast remedies for oily hair if that’s the case!) or you could have dry hair that feels like it’s going to crumble in two at the slightest touch… or maybe you’re somewhere in between. Well, never fear – follow these tips and dry hair will never again be a problem for you! If you’re facing dried out hair (and you wash it once a day) try switching to washing every other day. Every time you wash your hair, you remove the natural oils that protect and nourish your lovely locks. Give your hair some time to recover its oily beauty by washing every other day. On the off days, if you still find your hair drying out, use a light oil spray with SPF in it. This will add moisture and protect your mane from the harmful rays of le soleil. Check the ingredients in your shampoo, conditioner, hair spray and any other hair product. No really, check them right now. If any of them, any at all, have “alcohol” as one of the ingredients chuck them out. Alcohol dries out your hair like nothing else – it’s a hair killer, my friends. Also, while you’re checking, see if your hair products are made for dry hair. There are lots of brands that offer up products specific to dry hair – test them out, see which one works best for you and then stock up just in case they ever discontinue that product! Style your hair a lot or blow-dry it every morning? Do you use a curling iron or perhaps a flat iron? Well, this is most likely damaging your hair. Instead of speeding up the drying process, just let your hair dry naturally; replace your hot iron with non-heat rollers (put them in before you go to bed and pull them out in the morning for beautiful curls). If you can’t reduce the amount of heat you use, make sure you’re protecting your hair with a spray or special conditioner/cream. 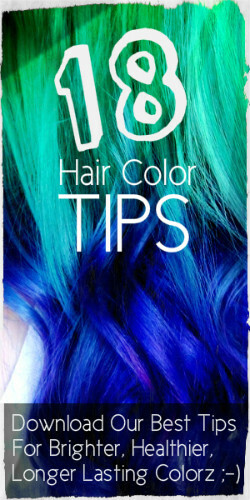 Show your hair you care! While a cold shower doesn’t appeal to anyone, ever, try rinsing your hair with cold water after each wash to keep it hydrated. The cold snaps your hair cuticles closed, sealing in the moisture from the condition. As an added benefit, the cold water prevents frizz and increases shine. One warning though – it does have a tendency to flatten naturally thin hair. Oil treatments, twice a month, add moisture to your hair and hydrate your scalp. It’s also really relaxing. Try these two DIY treatments to see what we mean. Pour a bit of oil (room temperature or warmed) into your hands and rub them together. Spread the oil onto your hair and scalp. Massage your scalp with your oily fingertips. If desired, cover your hair/head with a shower cap. Mix 1 tablespoon each of root juice, lemon juice and sesame oil. Apply mixture to scalp and hair; massage in as desired. Wrap hair and head with hot towel; let sit for half an hour. While your diet does have an impact on the health of your hair (read what to eat for healthier hair), that’s not what we mean by feed your hair. No, we mean literally – put food on your hair. There are a ton of different home remedies for dry hair that you can try out that include everything from milk to avocados (and sometimes a combination of both). Here are two you can try – a simple internet search will give you tons more! Purée 2 over-ripe bananas. Add 2 eggs and beat mixture. Add a few drops of honey. Mix well. Apply mixture to hair and scalp. Cover and let sit for half an hour. Rinse and shampoo out. Add ¼ cup of milk and 1 tablespoon of olive or coconut oil. Stir well. Apply purée to hair and roots. Cover with shower cap and let sit for 15 minutes. 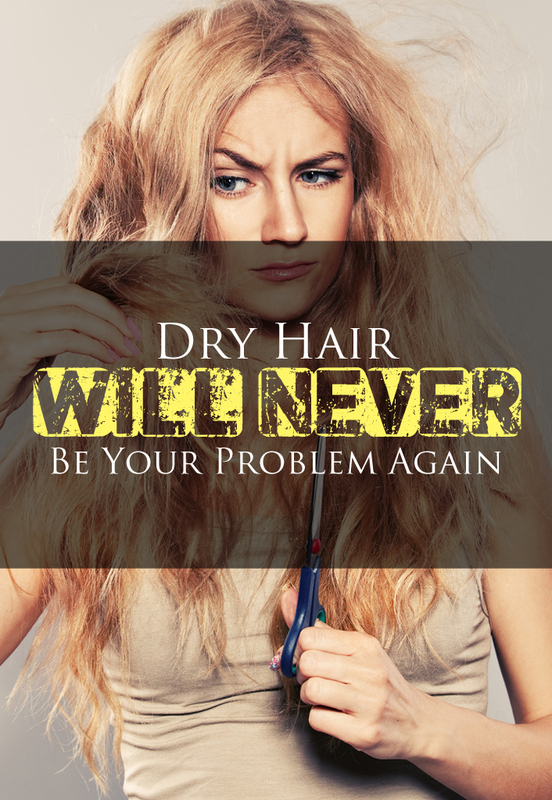 Is it really surprising to know that your hair will dry out if your body isn’t properly hydrated? Keep that in mind as you’re preparing for your day – eight 8-ounce glasses of fluids (or 1.9L) is the recommended daily intake. You’ll be surprised at how big of a difference simply staying hydrated will make! Have any other tips? Like us on facebook and let us know what you are doing to keep you hair moisturized.